Back in the early sixties when I was a school-kid – long before our Bengali brethren were alienated by military-rulers and feudal politicians, and when the relations between the then East and West Pakistanis were sweet and friendly – my father, a young Signals officer in the army, posted in Dhaka for a couple of years, was given an assignment that was in addition to his normal duties. As we all know the beautiful land of Bangladesh is unfortunately prone to terrific cyclones and floods, particularly along the coast of Bay of Bengal. These cyclones prove disastrous for the poor people of those areas. Thanks to cellular telephony and a flat terrain, now-a-days Bangladesh is one of the best cellular-covered countries in the world. But during those days, telecommunications had not developed so much and the entire burden fell on the wired Telegraph network which connected the administrative headquarters, breaking down more often than not. In the absence of reliable communications, it was not possible to provide any kind of early disaster warnings to the people of those “unserved” areas. Neither was it possible to get relevant timely information about developing cyclones from those areas. Similarly providing post-disaster relief always requires a working communications system to facilitate rescue, medical and aid workers. Amateur Radio (also called “Ham” Radio) had been developing fast since the beginning of last century, used by hobbyists to get a thrill out of talking to strangers in far off places. A typical amateur radio “station” would be a small room cramped with short-wave radio transceiver equipment, with the operator crouching in front of a microphone, wearing headsets, scanning the ITU-allocated “short-wave” frequency band for any faint human voice (or Morse-code signals), coming from any direction. There were no satellite links employed for amateur radio, but “short-wave” frequency bands made it possible to be heard over considerable distances, albeit not always very clearly because of the constant crackling sounds from the ionosphere. A typical Amateur Radio “Station” of the sixties, showing the operator so busy in his hobby that his wife is desperately trying to remind him of something (notice the walls decorated with call-sign post cards received from various parts of the world. Every Amateur radio network (or “Club”) had a name, and every radio station had a “Call Sign” (consisting of alphanumeric characters following a convention). Whenever two amateur radio operators sitting in different parts of the world made contact with each other and could hear well enough to understand each other’s postal addresses, they would exchange post-cards via the postal service. Amateur operators had individual postcards specially printed, which carried the name of the Club and their individual Call Sign. 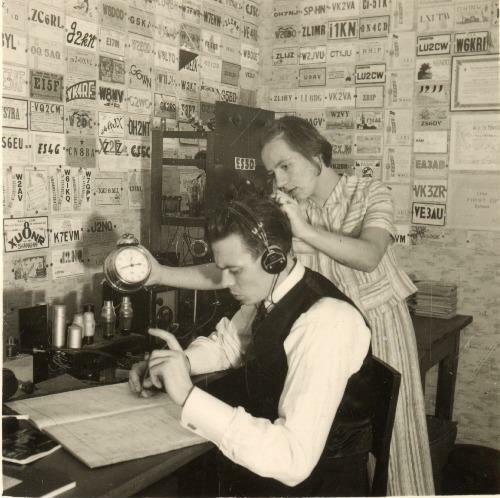 All received cards were displayed on the walls of the “radio station” by the recipients as trophies. I remember during the time the network was being established, and also later during its 24/7 operation, he had to travel several times (by train and steamer boats) to places like Chittagong, Cox’s Bazar, Khulna and Jessore. “The Tiger Amateur Radio Club” (it was named after the famous Bengal tiger), was inaugurated by General Khwaja Wasiuddin, who presented a “Charter” to the club, in August 1963. 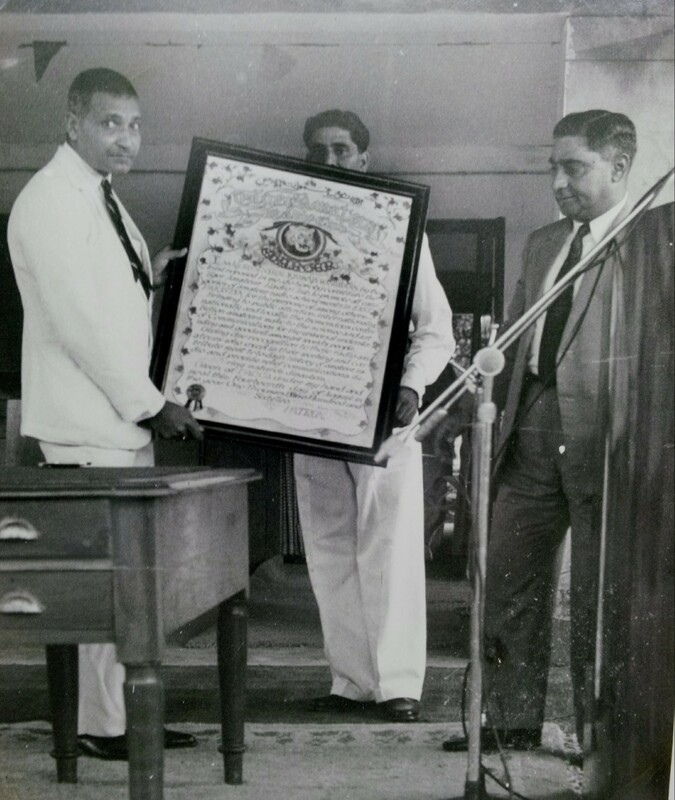 General Wasiuddin giving the Charter of “Tiger Amateur Radio Club” to my father’s boss (my father is holding the Charter from behind). 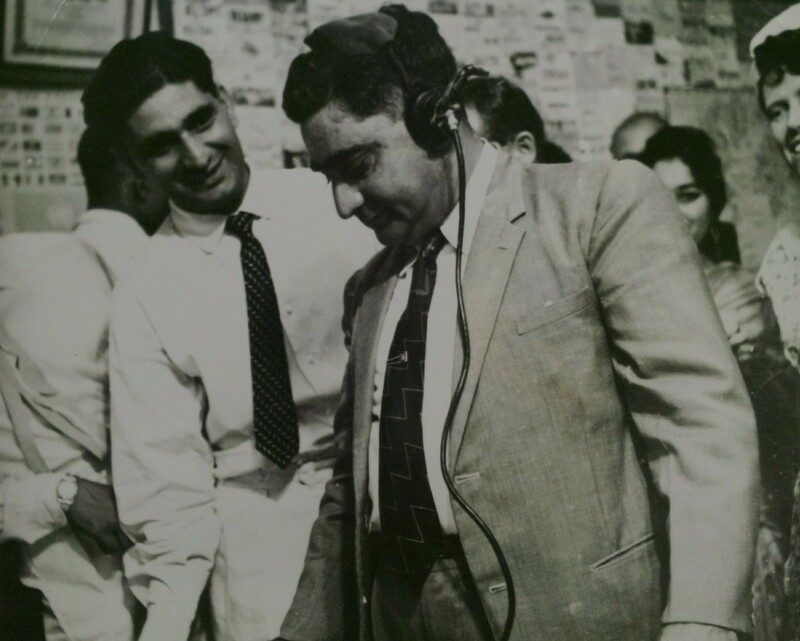 Being the eldest child I (and my younger brother Javed Iftikhar) had the privilege of occasionally accompanying him to the newly setup Dhaka amateur radio station, where he had to frequently go in the evenings. He would always try to explain to us how things worked. We left Dhaka soon after that but up to the 1965 war one kept hearing how helpful the Tiger Amateur Radio Club was in providing relief efforts. I have no idea what happened subsequently, but my father did receive a “Commendation Certificate” from the government, for his “meritorious services” in setting up the network. The Certificate hung, framed, at our home for a long time. As a student of class-4 I can vividly recollect all these things (I even remember the call sign of Dhaka radio station, which was AP5CP) primarily because my father tried to ensure that we learned from his experiences. I remember that one day when I asked him about this ‘thing’ called radio frequency, he took a paper and a pencil and explained it all to me in terms so simple that I can never forget. In fact that was my first lesson in telecom engineering! 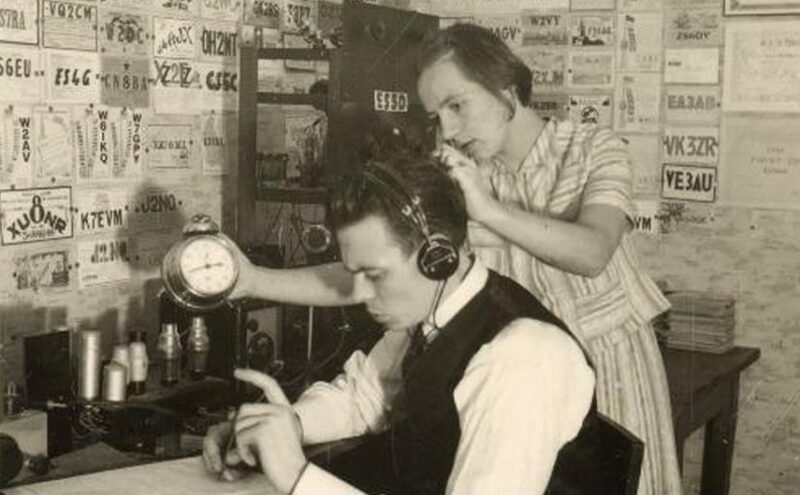 The first time two amateur radio enthusiasts talked to each other across the Atlantic, a watershed event in the history of Amateur Radio, had been in the year 1923 – the year my father was born! Exactly forty years later he helped establish an amateur radio network for communications to/from unserved areas. Little did I know that after another forty-four years I would become the founding CEO of USF Pakistan – which would start my own love-affair with providing telecommunications in the unserved areas! “This question may only be answered by someone who does NOT agree that YouTube should be opened”, I jokingly challenged the panel of eight high-profile experts sitting on the stage when a young participant at ITCN Asia 2014 (Karachi, 26thAug ’14) stood up and, lamenting the losses to the youth due to YouTube blockage, asked how could it be re-opened. I was moderating at this ICT annual event as we (the newly formed “ICT Forum Pakistan”) were invited to co-organize and co-host this year’s conference. It is always enlightening to hear reputable professionals at ITCN’s conference track. However for me, it has been a little irksome that the speeches and presentations do not always relate to an overall theme (in fact some are just company sales presentations). Even those that are related to a theme, are not coordinated in any way and therefore there is lack of coherence and repetition. Thus it is normally impossible ‘to take something home’. Organizing this conference provided us an opportunity to try structure it in a way that would take care of the above concerns. To start with, since 3G and 4G are presently being deployed in the country and it is a good time to talk about it’s growth, we picked up “3G and 4G – Impetus to Growth” as our theme. Then we went on to select speakers from varied backgrounds in order to cover the theme from all angles. Hence we selected an un-biased Senior Professional and high level professionals from Fixed-line Operator, eServices Provider, Equipment Vender, Government, Regulator and two Mobile Operators. Although this is still an incomplete representation of stakeholders, but it did lead to “one of the most interesting sessions of ITCN Asia conferences in years” – according to Dr Khurshid Nizam, President of e-Commerce Gateways (the main organizers). The first speaker, independent senior professional Mr. Nooruddin Baqai provided a historical perspective, important to learn lessons. Since he used to be in the middle of the action a decade back, he could effectively share the experiences and the results. With the help of statistics he highlighted that direct contribution of ICT sector to the GDP actually reduces once the booms are over and it is the indirect contributions that keep adding to GDP growth. He thus asserted (like several after him) that the focus of the government should not be collection of ICT revenues, rather it should aim to gain through the resultant economic development. He maintained that in order to ensure continued growth and socio-economic benefits to the society, the government has to do the most, in terms of investing in ICT usage and adoption. 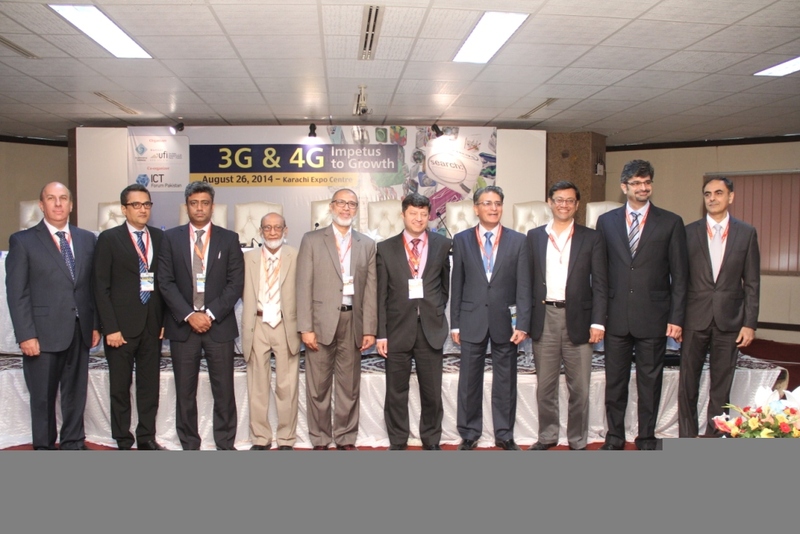 As it is the Mobile Operators who are the actual providers of 3G and 4G, there were two speakers from this segment. 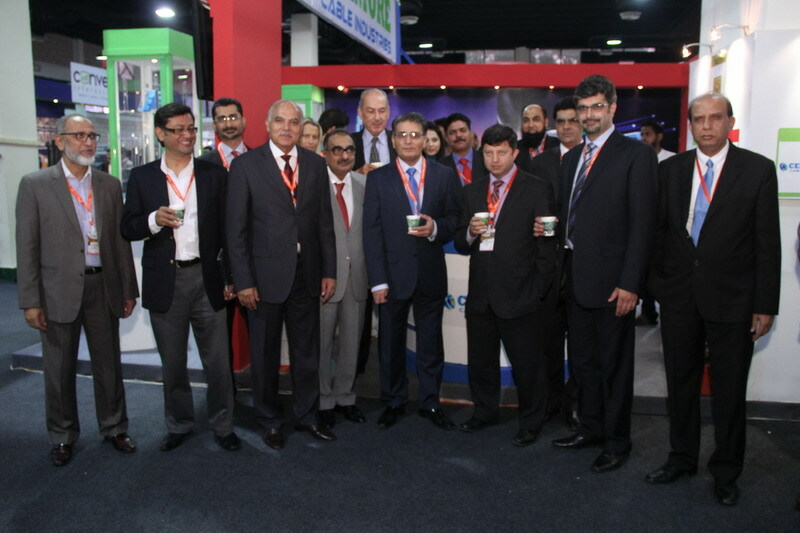 The first one was Mr Niaz Malik, Chief Corporate Officer of CMPak (Zong), the only operator who obtained 1800 MHz for 4G. After talking about the new services that would now become possible and the resulting benefits, he stressed upon the importance of investment in the eco-system. Interestingly he said that it should be done not just through government’s efforts but also through collaboration among the telcos themselves! The second speaker from the same segment was Mr. Ehtisham Rao, Director B2B Marketing of Mobilink, Pakistan’s largest mobile operator. He talked about the challenge of OTTs (Skype, Viber, Tango, etc.) who operate free of any regulations in the country. He argued that the Telcos need not be vary of the OTTs, rather the two posses complimentary user datasets, which could be one of the grounds for collaboration. He also said that Telcos have a lot more to offer than OTTs, like mWallet, mBanking, M2M, etc; enabling businesses, and therefore the opportunities for Telcos to grow were huge. Mr Naeem Zamindar (till recently CEO of Wateen Telecom) talked from the perspective of a Fixed Line Operator, who is both a competitor (with its fixed broadband in the last-mile) as well as a facilitator (provider of backbone/backhaul) for wireless broadband. In his short, but full-of-energy talk about the importance of WiFi, he under-scored that 70% to 80% data communication takes place from the office or the home, where WiFi is undisputedly the dominant choice for broadband access. He informed that in China, China Mobile offloads 72% of its mobile data traffic to WiFi. Other than WiFi, he underlined the usefulness of Optic Fiber Cables – not only in the backhaul. 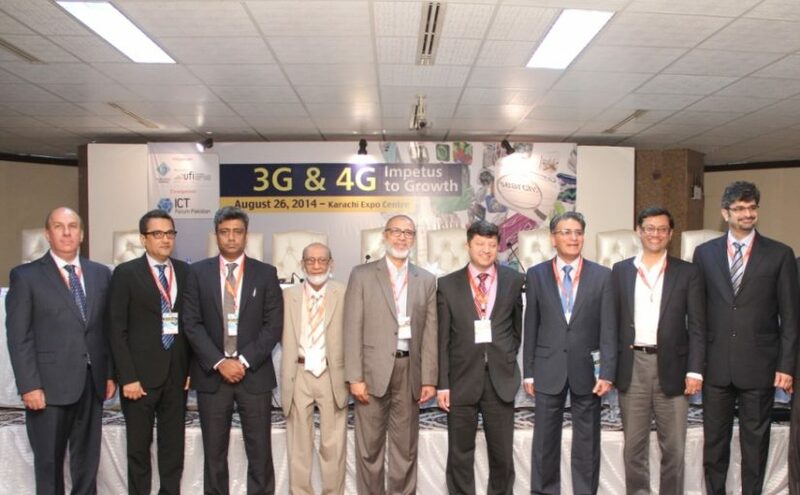 He claimed that there is a demand of at least five times more Optic Fibers than the present deployment in Pakistan. He predicted that in one year, when TV cable operators will also start upgrading their networks with fibers, inflection point of broadband growth will be visible in Pakistan. 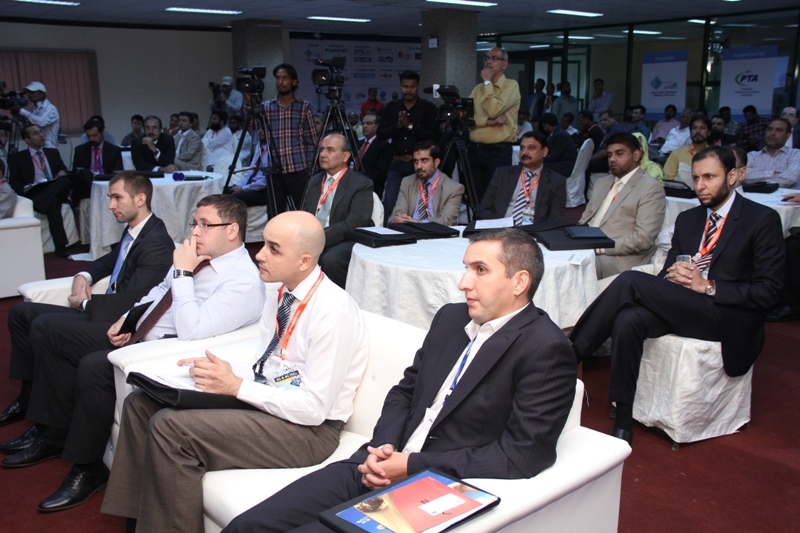 Mr Salim Rafik, COO of NADRA Technologies Ltd, represented the largest eGovernment service provider in the country. He explained that although with 3G/4G the quality of service to the populace will improve, there would still be huge other challenges. Giving an example he said that content provider is always at a loss to decide which platform he should place his bet on, as in the last decade there have been lots of ups and downs with platforms like Symbian, Black berry, iOS, Android, Windows, etc. Quoting statistics he also lamented the trend that only 16% of users actually pay for the Apps that they use. But thankfully, due to the fast upcoming ‘internet of things’ and the great population bulge of youth in Pakistan, he was upbeat regarding the growth prospects of broadband. 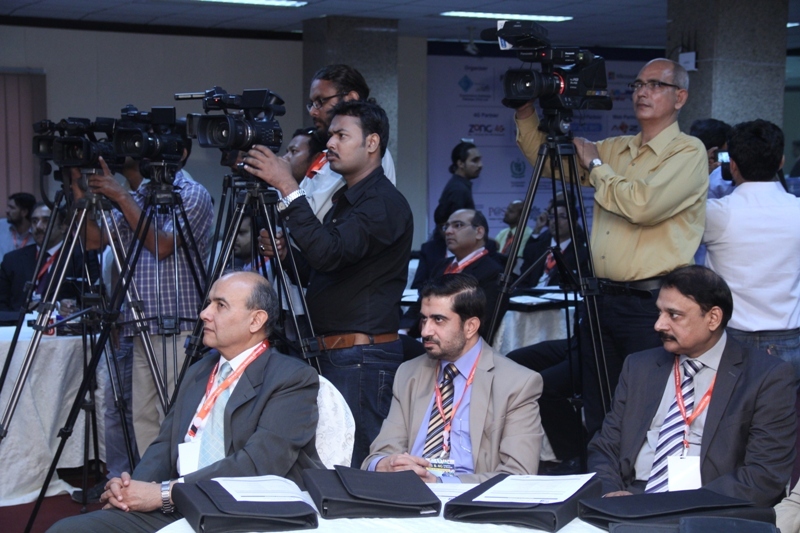 The perspective of equipment suppliers was presented by Mr Ashley Gold, CEO Ericsson Pakistan. Quoting from Ericsson Mobility Report 2014, he too expressed optimism regarding growth prospects of wireless broadband, mainly owing to two factors: The first one is the gigantic potential of all kinds of connected devices – globally estimated to be 50 billion by 2020. And the second one being the extraordinary growth in mobile data traffic over smartphones, which are set to be the main driver leading to a networked society. He recommended that elements of networked society should be part of the ICT Policy. Government’s perspective was presented by Mr Muddassar Hussain, Member Telecom Ministry of IT, that is ultimately responsible for ensuring that wireless broadband helps meet the government’s socio-economic goals. He elaborated elements out of the new Policy, that the Ministry is presently formulating, and the multiple new challenges that are being faced, when the edge (Apps and Services) has come to dominate the core. He informed that the draft of the policy will be put up for public consultation in a couple of weeks. He assured that the new policy will stress upon measures like putting more reliance on public-private partnerships, making more spectrum available, supporting collaborative eGovernment and remodeling USF and ICT R&D Fund, etc. The floor was then opened for Q&A which generated a very lively discussion, touching myriad of topics like digital divide, lack of fiber penetration to villages, ICT jobs, entrepreneurship, etc. 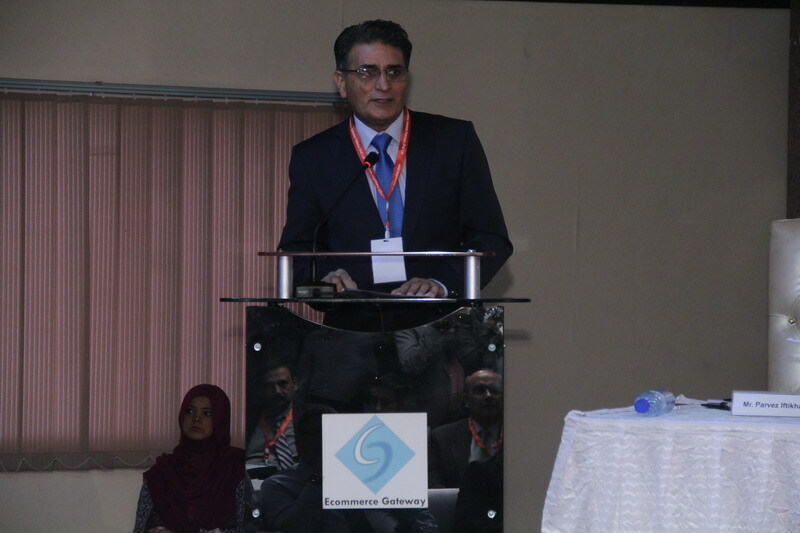 Finally Dr Syed Ismail Shah, Chairman PTA wrapped up the conference proceedings. He elaborated the challenges that PTA has to face in performing it’s tasks and shared his ideas as to how PTA intends to remove some of the barriers to growth identified in the presentations. He too advocated that ICT, by itself, should not be considered a big source of revenue generation, rather be used as an enabler for bringing efficiencies in all sectors of the economy. Following his short remarks for each presentation, he assured all of Regulator’s best efforts to give the necessary impetus to growth of wireless broadband. subsidising (through USF) backhaul connectivity to remote corners of the country to deliver eServices to citizens through broadband. The speakers asked the Regulator to keep the lite-touch regulation and take further steps to facilitate deployment of WiFi hotspots and data traffic WiFi off-load by mobile operators. On the other hand the Operators were asked to collaborate among themselves to strengthen their business cases by infrastructure sharing and by jointly developing applications and services.